David Phillips (David Berman, left) along with Captain Jim Brass (Paul Guilfoyle), D.B. 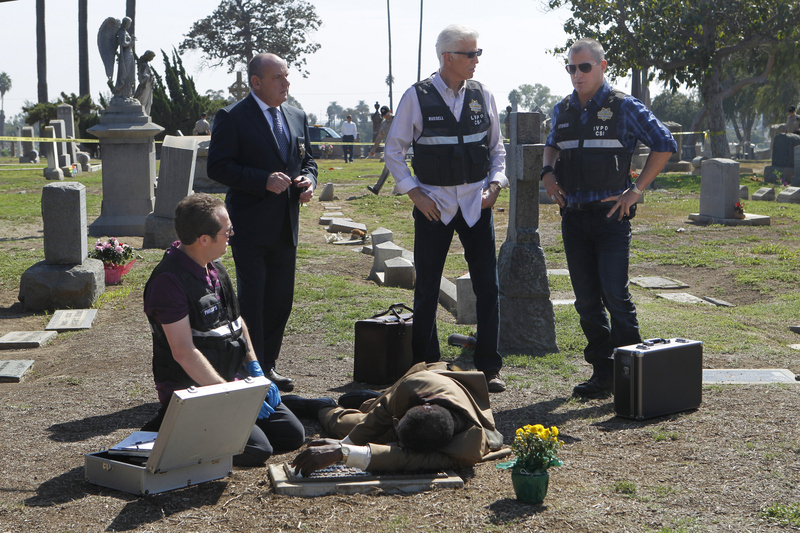 Russell (Ted Danson) and Nick Stokes (George Eads) confer with one another at a grave site in this scene. Photo: Sonja Flemming/CBS ©2012 CBS Broadcasting, Inc. All Rights Reserved.